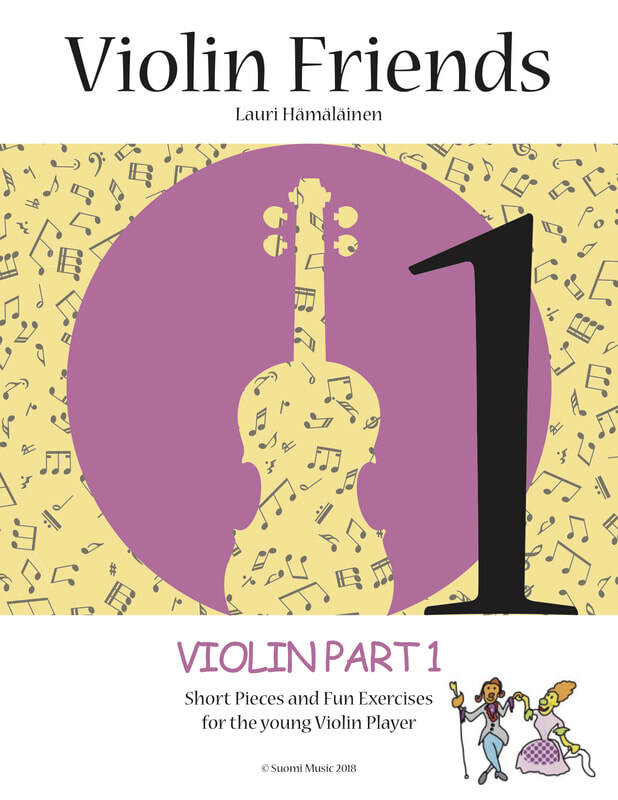 A great first book for the beginner violin player. 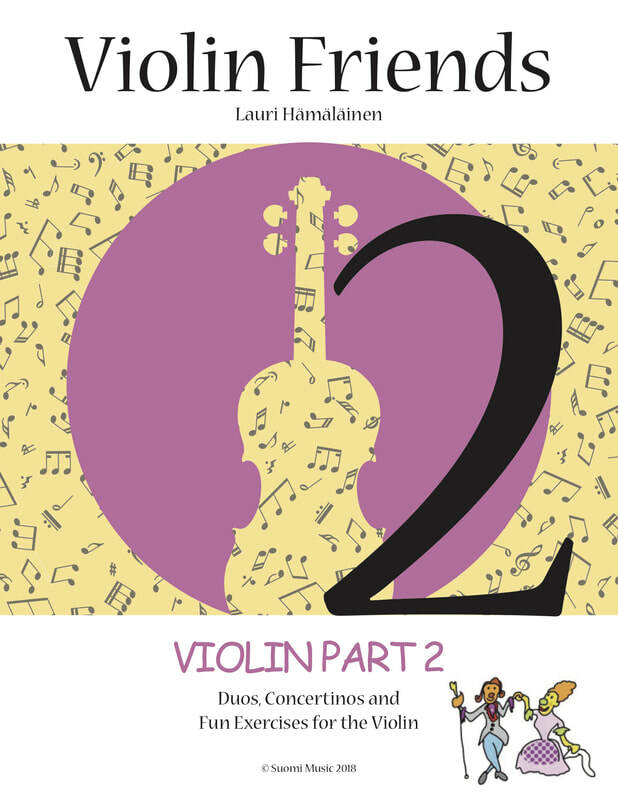 This book introduces the open strings, basic rhythms and famous children's songs in the first position. It contains a lot of unique duos and trios for performing music together in the classroom and concerts. For the intermediate violin player, this book contains great music from the classical composers. Beautiful short pieces, exercises and concertinos until 3 flats and the 3rd position. New technical skills include double-stops, position changes and scales with 2 fingers. Small and easy pieces for a string trio. The short pieces are great repertoire for kids to perform in concerts. Technical skills introduces the jumping bow, pizzicato, string crossings, the ricochet and trills. 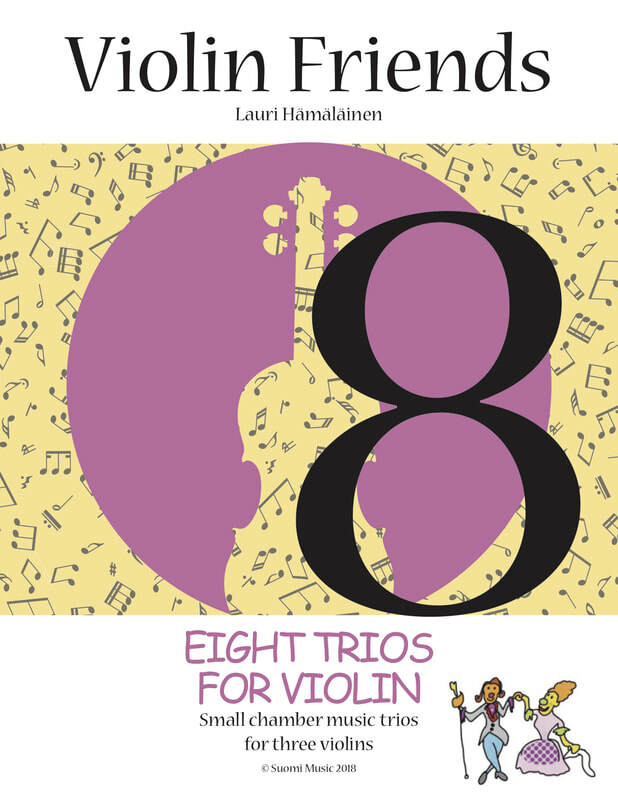 These trios is a fun way to teach kids chamber music playing. The piano accompaniment helps piano players to accompany the violin and viola students with the help of simplified piano arrangements of the most famous classical music pieces for violin and viola.